“New Galactic Order” Starts Now – Your First Look at GUARDIANS OF THE GALAXY #6! 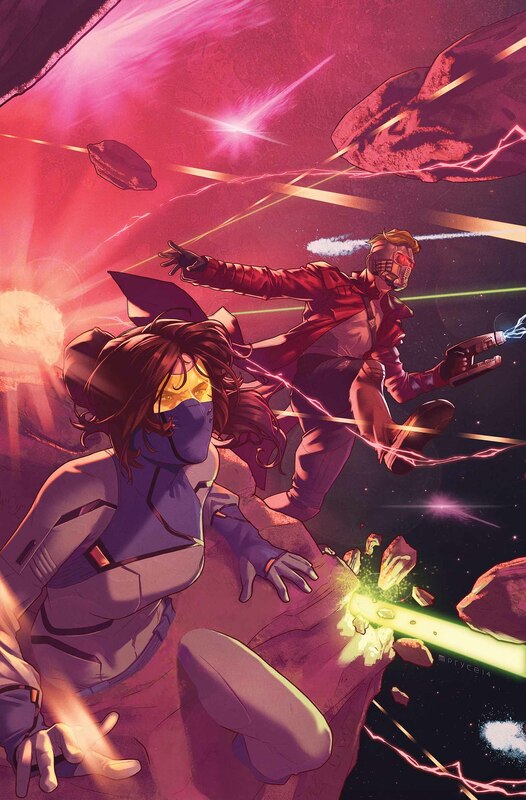 Peter Quill may be back with the team, but things are anything but back to normal for the Guardians. Today, Marvel is pleased to present your first look at GUARDIANS OF THE GALAXY #6 – the first chapter of “New Galactic Order”! Blockbuster creators Brian Michael Bendis and Valerio Schiti take you on the next chapter of this interstellar rollercoaster! Removed from power as the emperor of Spartax, can Peter Quill readjust to life among the stars? Which nefarious alien race will step up to fill the power vacuum left in his absence? More importantly – Peter Quill and Kitty Pryde come face-to-face for the first time in nearly eight months! Are the Guardians of the Galaxy big enough for two Star-Lords? Those answers and more this March as “New Galactic Order” kicks off in GUARDIANS OF THE GALAXY #6!